I have a rather large headache in lieu of putting some serious effort into the backyard situation. recently bought our home and the backyard was in dire need of attention. 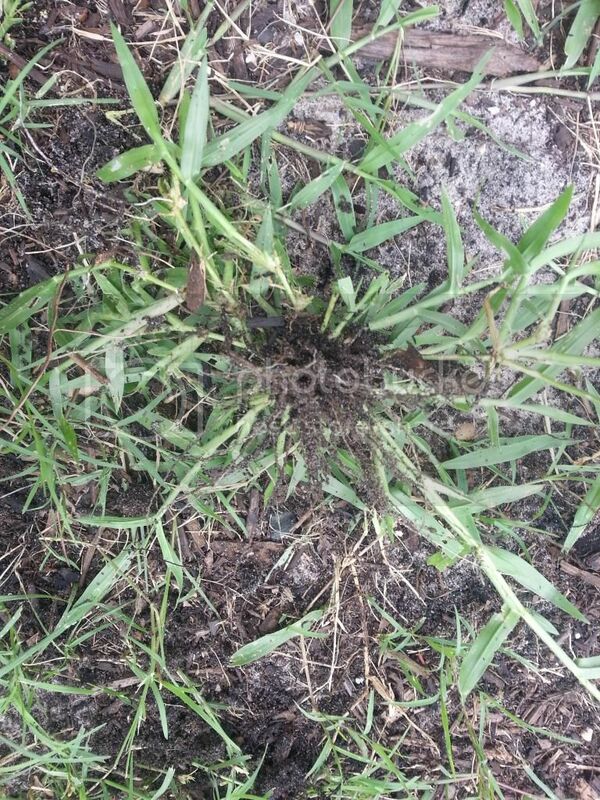 most of the grass, it was a Bermuda/Crabgrass infestation at 4ft tall and had a lot of chinch bug damage on the few parts that were St. Augustine. Long story short, I used a herbicide to kill existing grass, raked it all up with a manual till, got most of the roots (so I thought). In a few weeks time a lot of the grass started to emerge again, like nothing had happened. So, I used the herbicide again on the roots after digging up every square inch with a shovel, getting about 24 in. down exposing the runners and rhizomes. ...they came back! The "organic" herbicide I presumed wasn't doing so much of an effective job...so I resorted to the short duration RoundUp formula where you can re-seed within 4 days. This got things brown and "dead." I used a roto-tiller to go as far down as I could and really aerated the soil. Graded it...then put a nice top soil dressing down so that I could plant my Bermuda seed. It really started to take off very quickly, and looked pretty astonishing after 3 weeks. Then I noticed more of this mysterious grass starting to grow - what I claim to be "crabgrass." I'm posting here after talking to "professional" people (i.e. 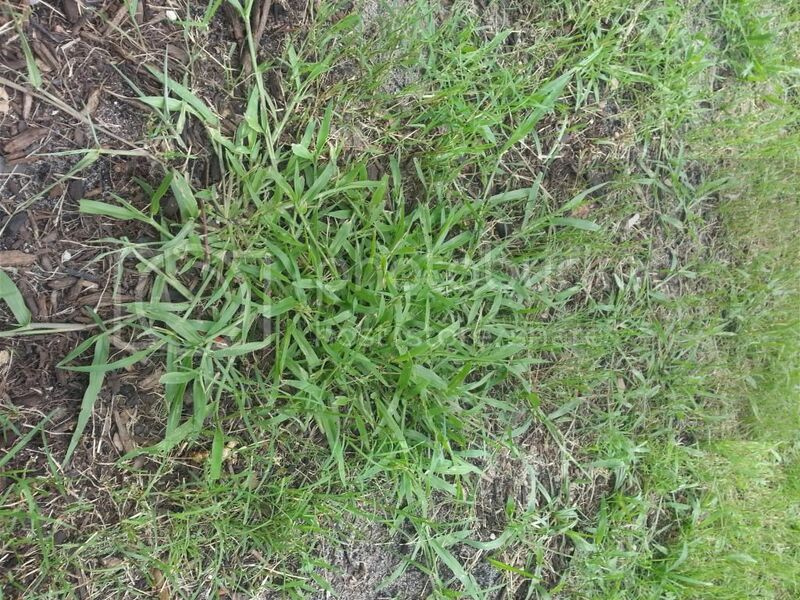 Scott's rep, local lawn professionals, et cetera) and they telling me that crabgrass doesn't grow south of Jacksonville, Florida (I live in Melbourne, FL). 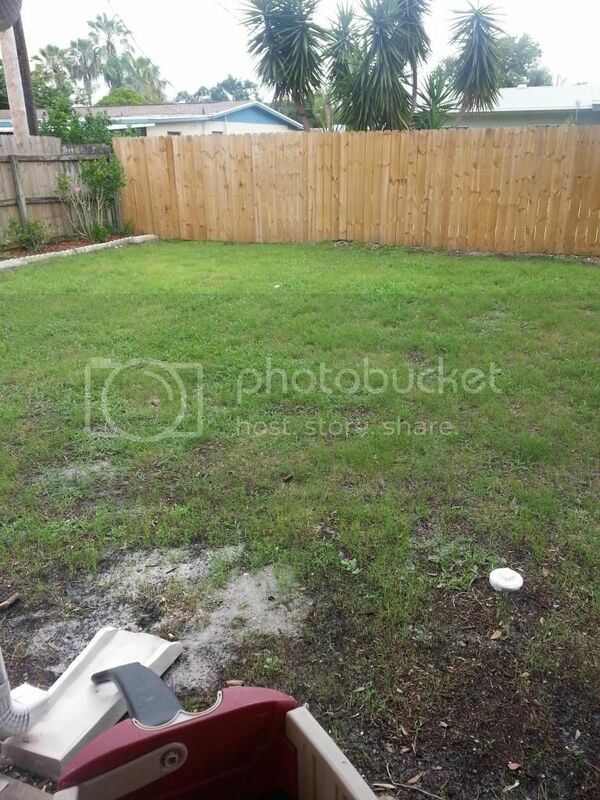 After scouring the web trying to detect my mortal foe, I can't determine what product to purchase to eradicate said enemy without killing my Bermuda. I'm under the impression it's Crabgrass or Torpedo grass and should use the Drive XLR8 with a non-ionic surfactant to isolate the impostor. I have attached a few photos, top side, bottom side and a general view. I believe your grass is "goosegrass". Not 100% sure-I have a lot of that in my yard, but it isn't too hard to control. Pull up by the roots or just mow. Thanks Catgrass...I think we have a match! Unfortunately there aren't many post-emergent herbicides other than RoundUp suggested for killing it - guess I'll just have to go around manually removing them and re-seeding those areas...hopefully the Bermuda grows quicker than the Goose. Questions about Blue Star creeper..invasive? ?